June. It's already June. We're nearly halfway through the year. How time flies. What is also flying is CMON Expo. They're flying high with a new update about what'll be coming at this year's show. This update has a sort of "construction" theme, somewhat by accident, as it involves rivets and panels. What do I mean by that? Read on. First, the panels. Conventions are nice because you get a chance to listen to some of your favorite gaming insiders talk about the games you love. There've been a bunch added for this year's CMON Expo. Starting out with Black Plague, the newest version of Zombicide coming out (that will be on Kickstarter during the show), has a panel discussing pretty much everything about it. There'll also be a Dark Age panel, looking at the new releases coming up for the year. 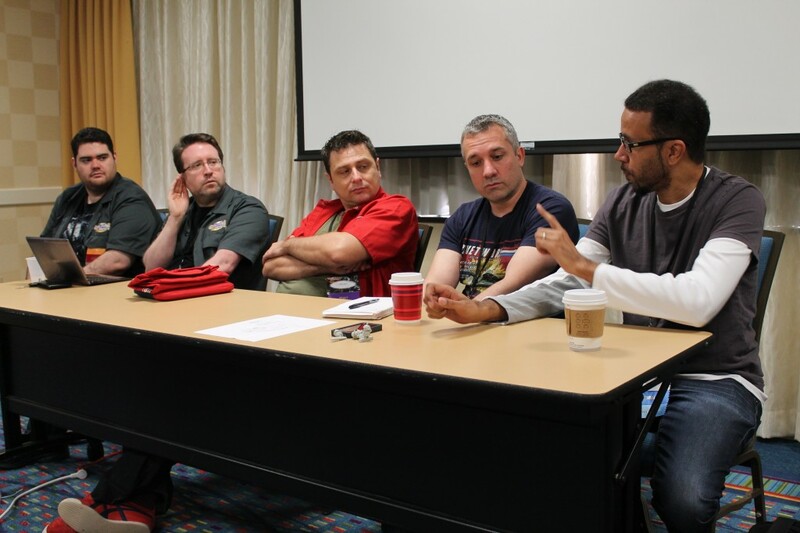 From the sci-fi to the fantasy genres, Wrath of Kings will have a panel. Arcadia Quest will get their own panel, as will The Others, the new game by Guillotine Games and Studio McVey. Crowdfunding will also be talked about in depth during Kickstarting Success panel. CoolMiniOrNot State of Affairs will let people know what sort of fun tricks they have up their sleeve. As for a topic that's not specifically about CoolMiniOrNot or the games they produce, there will be a group of podcasters talking about what it takes to run your own show and how to get an audience. On the side of rivets, that'll be the new Rivet Wars event, Capture of Gadcan Island. This 6v6 team event will see Rivet Wars taken off the tiles and onto the miniatures table. This changes a lot about the game and is a cool experience to try out. Whose flag will fly over the island at the end? That depends on the wiles of the commanders in the battle. There's only two weeks left to go. But this isn't the last of the updates about CMON Expo 2015.